This is a beautiful single heart shaped colorful dream catcher. It was hand crafted in Nepal using all natural materials including hemp. 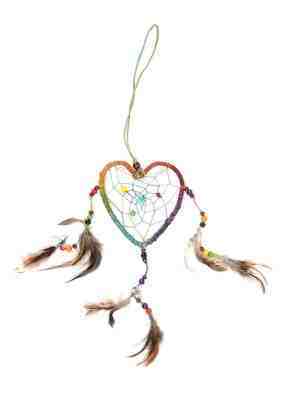 Hang this dream catcher wherever you want to capture the loving positive vibrations. It comes in assorted colors and is approximately 12" long.